We are manufatures of corporate diaries. We can make any design as per the clients wish. We have huge variety. 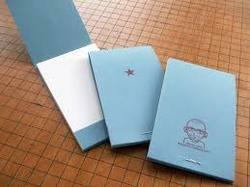 Our company is one of the most prominent names in the industry for the manufacturing of Promotional Notebooks. Our range is widely used in schools, institutions, restricted areas, offices and hotels. These are available in various specifications and can be custom designed according to the requirements of the clients. Banking on our industrious professionals we are offering Promotional Notebook to our clients. Maintain your daily journal with this fetching notebook. In a size of 13 X 21 cms, it features ruled pages for your writing purpose. The acid-free paper and neutral colour hardcover add to its overall trend quotient. Marked with expertise we are delivering large collection of Promotional Writing Notebooks. This can be bought in bulk range from us. 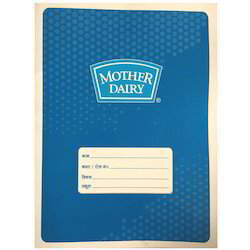 To supply the ever rising needs of our customers, we are occupied in offering a wide range of Promotional Notebooks.